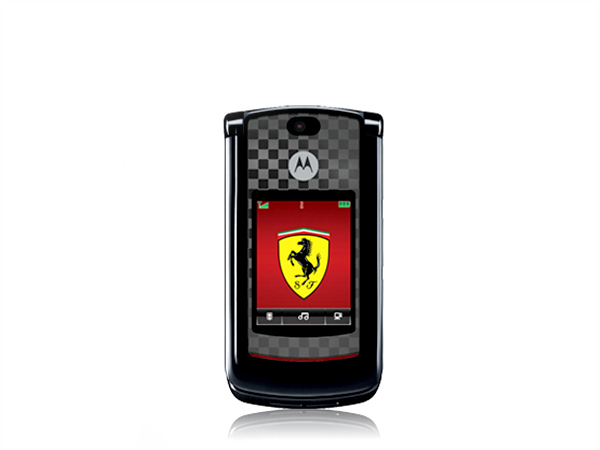 The Motorazr2 V9 Ferrari is the new phone from Motorola. For more on the phone and its complete specifications check out our review. 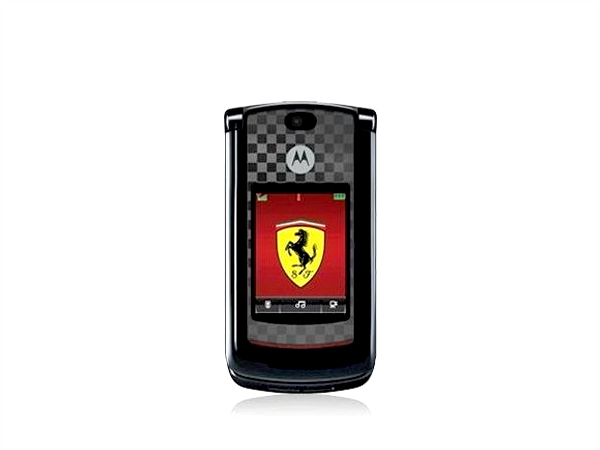 The latest phone from Motorola is work of their collaboration with the Italian sports car manufacturer Ferrari. 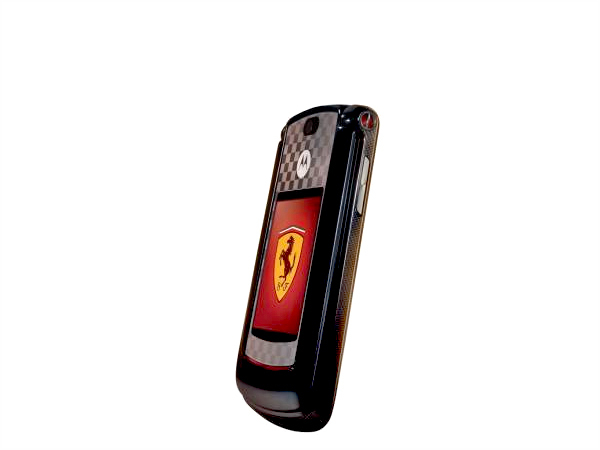 The phone features the same specifications as the Motorazr2 V9 but adds the exclusive Ferrari content like a checker flag pattern, the red colour and a Ferrari branded leather case. The phone is made of combination of plastic, metal and glass altogether and gives it a very strong looks and feel. There's a lot of gloss on the back and the surface is a fingerprint magnet. The front of the phone bears the external display with touch sensitive strip at its end. The touch sensitive strip gives the partial control over the phone without opening the flap. Tasks such as browsing media and the SMS can be read through it. The flap mechanism is pretty firm and safe. The phone sports a good sized tactile keypad and the keys have been well placed for a long comfortable type. On the left side of the phone, it sports the volume keys and the smart key. The smart-key assists in operating the phone with the touch-sensitive buttons whereas the right side hosts the hotkey for voice commands. The internal display on the phone is the 2.2 incher which displays bright and vivid colours. The Ferrari Special Edition uses Crystal Talk technology which helps in cancelling the background noise and adjusts the audio to match the ambient volume. The phone features a 2 megapixel camera with 8x digital zoom but without a flash means, low-light photography is almost impossible. The camera performance is average and quality of pictures is not stunning but the good display complements it with its nice colours. The screen is a pleasure for flipping through the photos. The included phone on the handset features variety of audio formats but there's no 3.5 mm headphone jack on the phone. The audio quality on the phone is average and features the spatial audio with bass boost settings. On the connectivity front the phone comes with HSDPA , Bluetooth 2.0 and USB 2.0. The phone comes along with USB mass storage device and is supplied with the micro-USB cable. The phone features and excellent network reception with good call quality. The loudspeaker on the phone has a decent output and does okay for casual listening even with earphones. The life of the battery is average on the phone and seems disappointing. The phone lacks a camera button and without a flash it surely hampers the ability of the phone to take night shots, Overall it's a decent phone and does not do anything extraordinary. 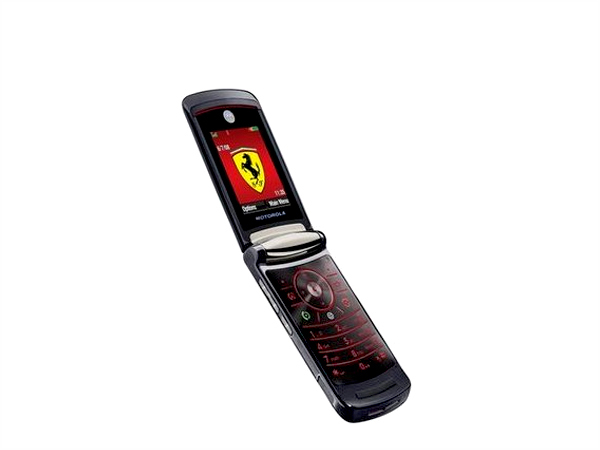 It's a product which appeals to the Ferrari Fan lovers over style and looks. If you're the scarlet fan this phone is the right choice for you.